Tractores Pauny - PAUNY HAS SOLD ITS TRACTOR OF NUMBER 15,000 AND THE PRESIDENT MAURICIO MACRI VISITED THE LAS VARILLAS PLANT. 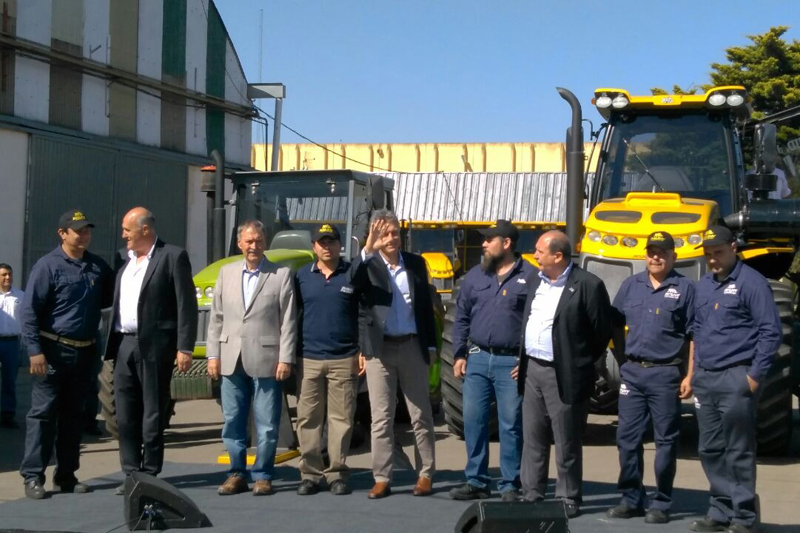 PAUNY HAS SOLD ITS TRACTOR OF NUMBER 15,000 AND THE PRESIDENT MAURICIO MACRI VISITED THE LAS VARILLAS PLANT. To celebrate its 15 years and the sale of the tractor number 15,000, Pauny organized, in Las Varillas, an event attended by the President of the Nation Mauricio Macri, the Governor of the Province of Córdoba Juan Schiaretti and several national, provincial and municipal government authorities. During the ceremony, the President handed Carlos Falvo the keys to the Tractor Bravo 710 and drove it with him; he also congratulated the company for having been able to overcome the 2001 crisis and predicted further growth for the coming year; finally, he expressed that he would like to see Pauny tractors all over the world. “We are very happy because in addition to unit No. 15,000, we are beginning to celebrate our 15 years that are the result of our commitment to our country and the efforts of our 520 employees. The year 2016 has been a very good year, we have sold 15% more than 2015 and we estimate to close the year with 1900 transactions.” José López, vice president of the company, stated.